Hey there guys! Gone are the days of conventional cardio and slaving on a treadmill and steppers. 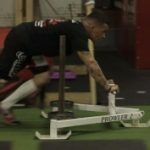 The new age of iron addicts have decided to turn to lifting weights faster and taking on the iron jungle with the various torturous fitness tools to help increase performance, from elevation masks to weighted vests, there is always something out there to help you get closer to your gainz. For most athletes, cardio machines are thing of the past and in my opinion rightly so. The iron game is constantly changing and you need to stay on top of your body because by now you know it can adapt to exercise in a blink of an eye leaving you frustrated and confused on a plateau with nowhere to go. For those of you that like to mix things up and do not incorporate ropes into you program, I strongly suggest you do. 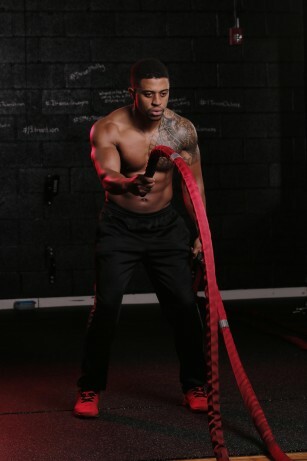 Research has now proven that training with battle ropes produces higher metabolic demands on the body than traditional lifting exercises using moderate to heavy weight. If you have a set of ropes at your disposal, add these exercises to your arsenal after an upper body workout and feel the blaze. If you don’t have a set, check out Christian’s Fitness Factory. I don’t know about you, but I’m down for anything that adds variety to my workouts to avoid getting bored, so when I came across these a few years ago I incorporated them and had great feedback from my body. This is how I personally gauge how well a fitness tool works because we all know everyone and their uncle has the next 10 second workout to get you ripped. I am a firm believer of personally testing things I maybe interested in and avoid just going by reviews. There are so many factors that can influence a person’s response and results from certain workout programs, supplements, equipment, etc. so what may work for you may not work for all. I personally know that Crossfit is not good for my body, I have terrible knees and shoulders, some of the weights and repetitions would crush me, so I play it smart. I look into alternatives and things that my body can respond to well making sure I do not let it adapt by using various pieces of equipment constantly keeping my body guessing. One of my most favorite tools that helps create this effect has to be the battling ropes, here is an introduction if you haven’t used them before. When starting ropes for the first time begin with 30 seconds of work and 20 seconds rest, 5 times. 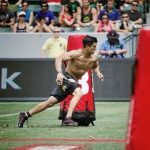 If your intermediate I would suggest a setup like Tabata (eight 20 second rounds, each followed by 10 seconds of rest). For those of you that have been in the rope game for a while try a 3 to 1 ratio e.g. 1 minute round with 20 seconds rest, 5 times. There are so many combinations you can use. These need to be done at a slower pace due to their longer range of motion. The focus behind these is just pure raw power. When doing these you want to keep the ropes just inside shoulder width then raise them above eye level and “slam” them down while squatting down slightly and hinging at the waist as the ropes hit the ground and repeat. The goal of these is to target your explosive energy system while hitting your abs and core. This is the most common way of doing the battling ropes. Holding the end of the ropes literate waving the ropes one arm at a time. These are all about speed hence the nickname ‘Machine Guns” the goal is to create as many waves as you can in the time your doing a set for. I like to use these after working front delta as the movement focuses on them. These are also great if you want to help tone the delts without direct impact or trauma in the case of boxing. These bad boys call for you to wave your arms in large circles for speed. Your right arm will move clockwise and your left arm will move counter clockwise. Two things will begin to happen the rope will show ‘spirals ‘or ‘loops’ moving toward the point of anchor this is normal so don’t panic. I like this movement because of the added ancillary work for the smaller external rotators of the shoulder. We can’t have a complete list without hitting the rear delts. Lateral waves place a great amount of tension on them. Hold the ropes out straight in front of you at shoulder height,bend your knees and clap your arms together. The effect is even more drastic when you drive your elbows back on each rep. Keep your chest ups as you whip the rope forward and back. Make sure you use a full range of motion on each wave while making sure the ropes do not over lap. Think jumping jack except your holding the ropes with your palms facing in. These can be done two ways; the first is facing the anchor point of the ropes to work the front delt. The second is facing away from the ropes while holding them and doing a jack facing away from the anchor point for the rear delt. I personally have my clients alternate between the two to help create balance. When doing the jumping jack make sure that ropes do not cross at the top of the movement. 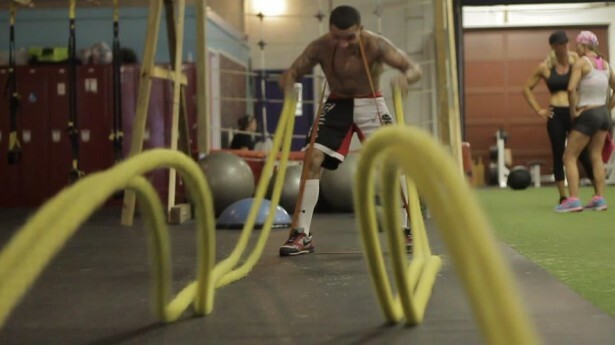 Next month we will go into more advanced movements with the battle ropes.